These Milky Way Cheesecake Brownies combine the perfect fudgy brownie with smooth, creamy cheesecake, and gooey milky way candy bars. An impressive dessert that’s easy to make! Obviously, I love brownies. 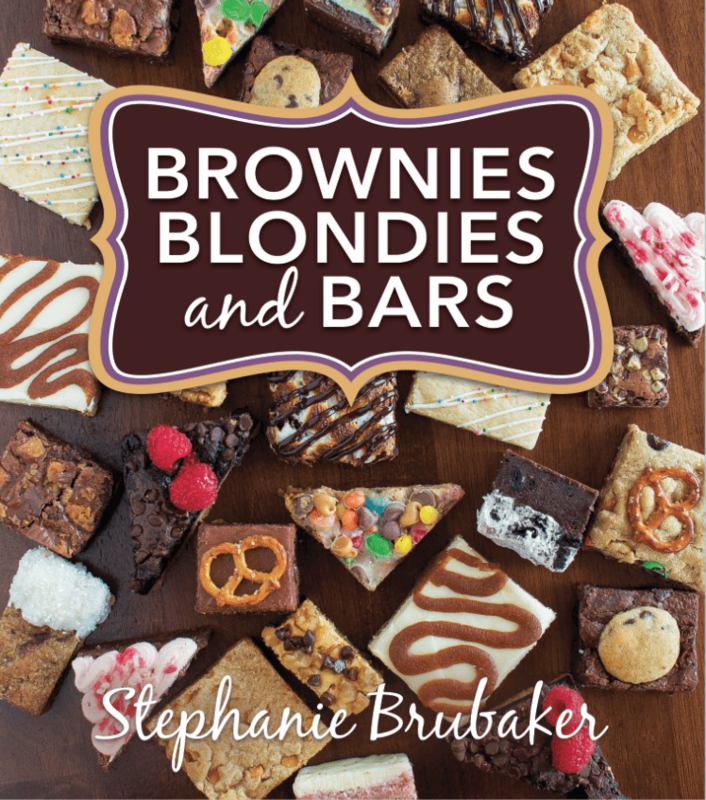 I wrote a whole cookbook filled with so many scrumptious Brownies, Blondies, and Bars, and I am still obsessed. I just keep making new varieties. They are so easy and so crazy delicious, and everyone loves them! 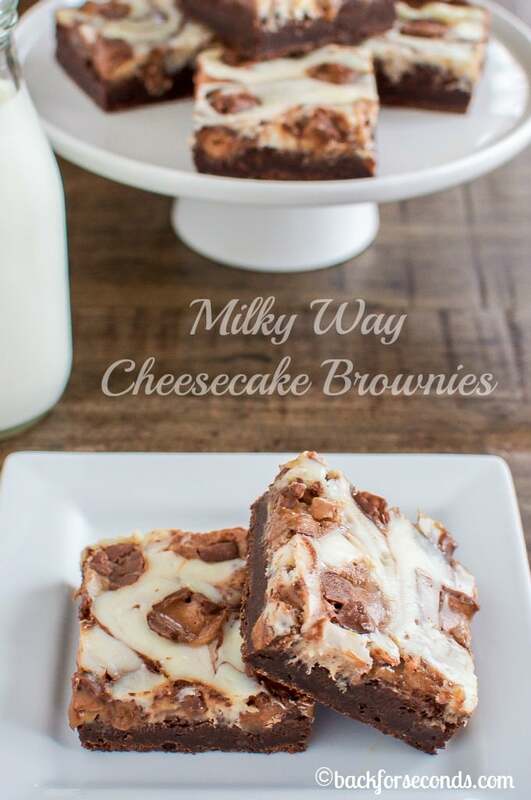 These Milky Way Cheesecake Brownies are no exception! With Halloween around the corner, I know many of us are going to have an excess of candy laying around. Milky Ways are one of my favorites, but you could use another candy bar if Milky Ways aren’t your thing. Snickers, Reese’s, Kit Kats…they would all work! Go ahead and top your brownie batter with your favorite chopped up candy bar! Then add a layer of silky smooth, creamy cheesecake on top and gave it a little swirl. Then sprinkle on even more candy and bake! 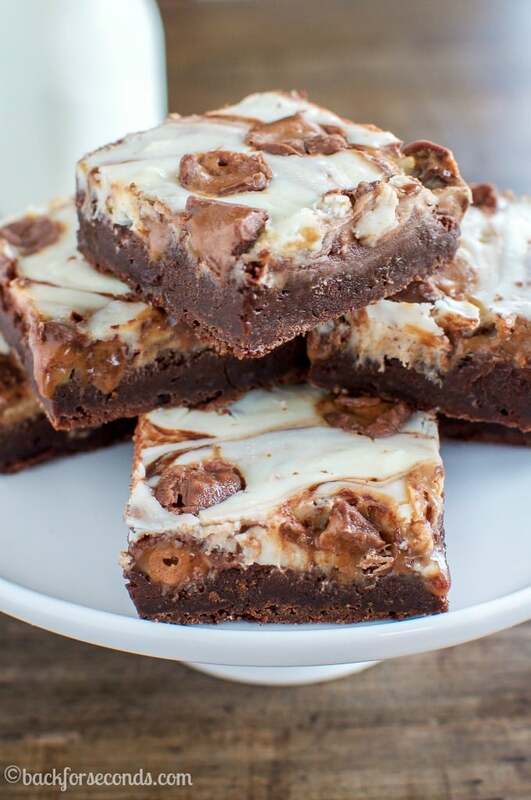 The hardest part about making these Milky Way Cheesecake Brownies is giving them time to chill in the fridge. I’m not gonna lie, it’s torture. Another thing that’s torture? Apparently watching me take pictures of these brownies so I can share them with you. My 1 year old stood there watching and sobbing as he pointed at them. I tried to hurry, and he got a tiny piece when I was done, so don’t feel too bad for him. These cheesecake brownies were such a huge hit, and they would be perfect for parties, holidays, or family gatherings! Enjoy! Can’t get enough brownie recipes? Me either!! 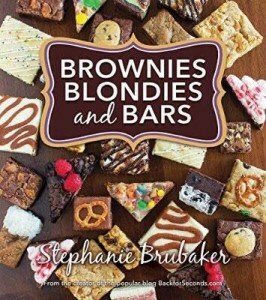 Check out my new book Brownies, Blondies, and Bars (on sale now!!). It’s the perfect book to have around for the holiday baking season, and also makes a great gift! 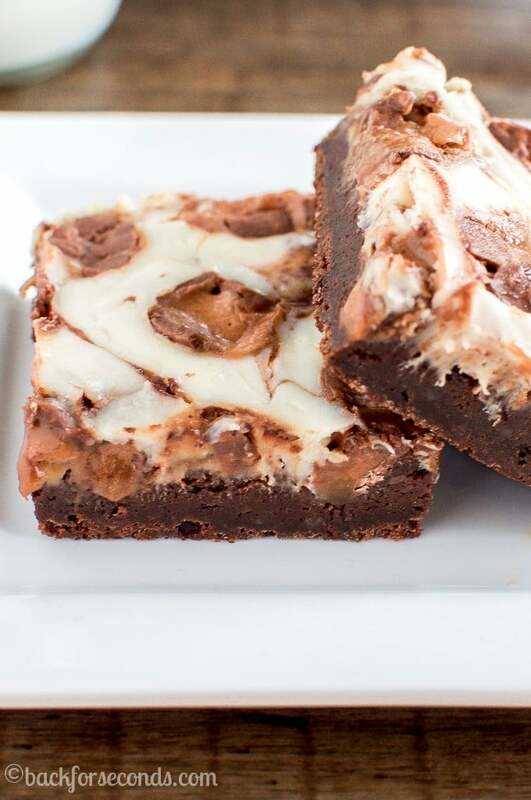 Totally in love with the tops of these brownies! Milky Ways are so good! It think that I may give it a try with butterfingers too! These look absolutely amazing, I just want to sink my teeth right into them. 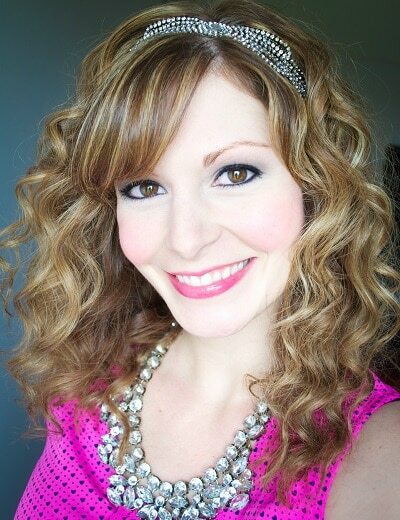 You are the queen of bars. 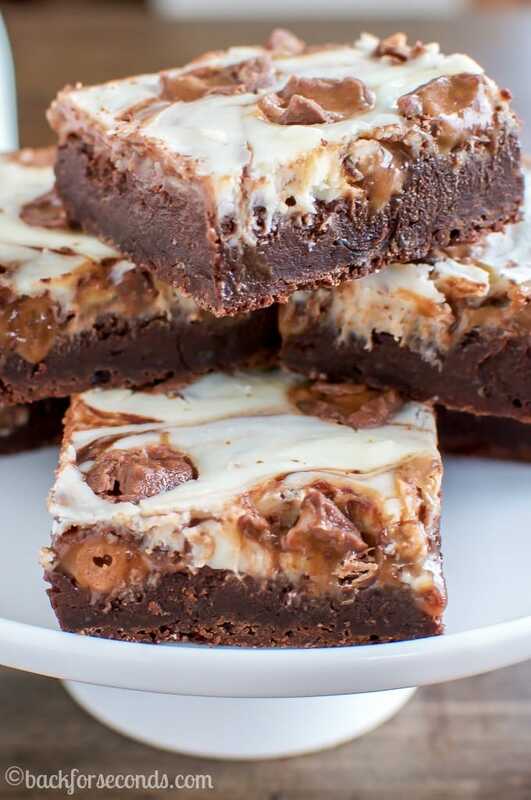 These brownies look crazy delicious! Love all that cheesecake and milky way flavor….yum!